The current European migration crisis has not left any country unscathed. Today we will focus on Belgium and in order to acquire a complete overview of the situation we interviewed Nicolas Jacobs, Deputy Director of the Legal Service of Fedasil. Fedasil represents a quite unique feature of the Belgium asylum system among the other Member States’, since this State agency acts as a centralized body whereas in most European countries the asylum reception system is decentralized and usually privatized. Asylum Corner: Let’s start with some figures. What was the dimension of the influx of asylum seekers in 2015 and how did it impact the Belgium reception system? Nicolas Jacobs: To understand today’s situation, we should go back a few years and see what has happened with the reception capacity in Belgium. 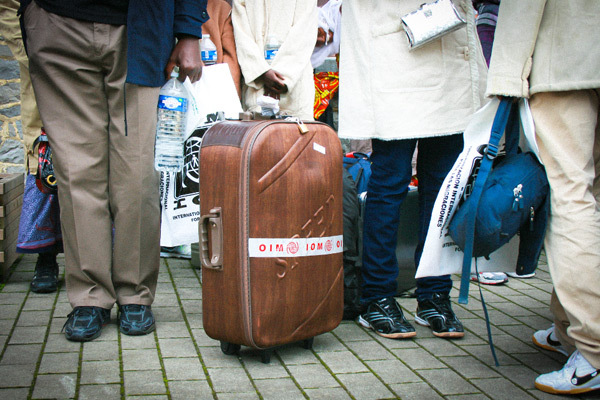 Between 2009 and 2012, Belgium experienced a prolonged “crisis of reception” which culminated in 2011 with 26,000 asylum applications, meaning around 35,000 people to host within a system that did not have the suitable capacity to do so. But in 2013 and 2014 the number of asylum seekers decreased to around 6,000 per year, leading to the inevitable shut down of many Fedasil centres. Then, in spring 2015, the numbers started to increase again: 1,500 in May, 2,300 in June, 3,000 in July, 5,500 in August, 6,000 in September. In terms of hosting capacity, the Fedasil network counted in June 2015 around 16,000 places, today we are at 36,000. Such swift broadening of the capacity comes from the Government’s will to leave no one in the street. Everyone who lodged an asylum application was relocated in one of Fedasil’s reception centres. AC: Did Fedasil play a role in the so-called “Parc Maximilien crisis” last September, when thousands of will-be asylum seekers had to temporarily stay in a makeshift camp organized by the citizens and volunteers before being relocated to Fedasil’s centres? NJ: That was first of all a legal issue: according to Belgian law, one has the right to reception only after lodging the asylum application. The people staying at the Parc Maximilien were those who were still waiting to apply for asylum at the Office des Etrangers, and therefore were not legally entitled to reception yet. Then, there was also the problem of reception capacity because the numbers of applications were higher than the places available. In fact, to avoid the complete saturation of the reception network, in November 2015 the government decided to register as many asylum applications as there are places available in the reception centres. This system proved to be sustainable until now because the influx of migrants has significantly diminished over the last few months. Therefore, to answer your question, Fedasil still does not work in the pre-reception, which after the “Parc Maximilien” has been run by the Red Cross in a centre close to the Office des Etrangers, where the asylum seekers register their application. AC: When the numbers of people arriving started to increase so rapidly, how did Fedasil practically manage to widen the reception capacity? NJ: In every way, really. First of all, when we reduced the places available in 2014, we kept some 2,000 places as “buffer places” that could be swiftly reactivated in case of emergency. Then, as had happened in 2009-2012, we relied on the Military for their infrastructures and barracks, which in summer 2015 hosted around 3,000 people. Furthermore, in the existent Fedasil centres we have increased the amount of places available by installing mobile units, such as fully equipped tents, sanitation, kitchens and so on. It is important to remark that around two thirds of Fedasil’s reception capacity is not run by Fedasil but by its partners, namely the Red Cross and Caritas. AC: Recently Fedasil has delegated a part of its activities to third sector enterprises: do you think this can be read as a first step towards the privatization of the Belgian asylum reception system? NJ: In 2015 Fedasil needed to find places very quickly and the private sector was able to help us with that (their share of the network is about 10%). But this was an extraordinary condition and it is not going to become a routine model. It is important to remark here that, from a Belgian legal perspective, the material aid asylum seekers are entitled to in Belgium is part of the social welfare: therefore, delegating it to the private sector would entail a partial privatization of the welfare system, which is something Belgium is very proud of.